A FICO score is a three-digit number estimating your credit risk. It can influence whether you get credit and the interest rates you pay. A FICO score is a three-digit number that lenders and credit card issuers use to predict how likely you are to repay them if they grant you credit. The score is also used to set the interest rate you’ll pay. FICO scores were introduced by the Fair Isaac Corp. more than 25 years ago, and they are the most widely known credit scoring brand. The terms “credit score” and “FICO score” are often used interchangeably, but FICO is only one type of credit score. The company uses a proprietary formula to gauge your creditworthiness. The formula is applied to data in your credit reports at credit reporting agencies Equifax, Experian and TransUnion. Often the credit bureaus have slightly different data from one another, so your score may vary for each bureau. Most FICO scores are on a range of 300 to 850, and a higher score indicates better credit. If you score 720 or above, you’re generally in the excellent credit range. Payment history (35% of your score): This concerns whether you’ve paid on time. Late payments can ding your score, although 30 days late isn’t as bad as 60, etc. A bankruptcy or accounts in collections could also hurt you. Amount of debt relative to credit limits (30%): This is how much of your available credit you are using — the less, the better for your score. Age of credit (15%): This refers to how long you’ve had credit and the average age of your credit accounts. Recent applications for credit (10%): A so-called “hard inquiry” when you apply for new credit can nick your score for up to six months. Whether you have more than one type of credit (10%): Having both installment loans (those with level payments, like a car loan or mortgage) and revolving credit (like a credit card) can help your score. As you can see, paying on time and keeping balances low account for about two-thirds of your score. FICO scores are one type of credit score (VantageScore being another), but you can also have multiple versions of a FICO score. FICO 8, introduced in 2009, is the most widely used, while FICO 9 is the newest. Mortgage lenders typically use much older FICO score versions. FICO also offers industry-specific FICO scores for credit cards and car loans, which range from 250 to 900. You may already have access to free FICO scores on your credit card statement. Credit card issuers such as Bank of America and Citibank give customers free FICO scores monthly. Going a step further, Discover has made FICO scores based on TransUnion credit reports free for anyone. You can also pay to get a FICO score via the company’s website, particularly if you want a version other than the free ones supplied by a credit card. Many personal finance websites, including NerdWallet, offer a free credit score from VantageScore, FICO’s main competitor. That gives you another option for watching your score: VantageScores tend to track similarly to FICO scores, because both weigh much the same factors and use the same data from the credit bureaus. If you want to track your score over time, you’ll want to use not only the same brand of score but the same version of it as well. That controls for differences due to which bureau’s credit report is used and which formula interpreted it. VantageScore was developed jointly by the three major credit bureaus and introduced in 2006. FICO is well known by consumers and widely used by lenders; however, VantageScore is gaining traction with both consumers and lenders. FICO says it is used in at least 90% of lending decisions, and it’s favored by the law in one crucial spot: home mortgages. Right now, it’s the only tool to evaluate credit risk that is approved for use by government-sponsored enterprises such as Fannie Mae and Freddie Mac. 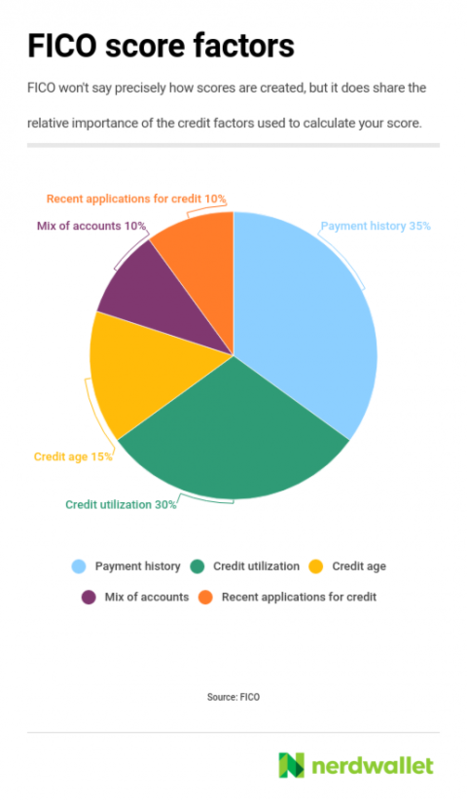 A recent study by VantageScore found that nearly 10.5 billion of its credit scores were used by more than 2,200 lenders from July 2017 to June 2018. The scores can be used together. A financial institution might use VantageScore to determine which consumers should get preapproval offers, and use FICO scores to decide which applications get approved. Compare: What's a good credit score?